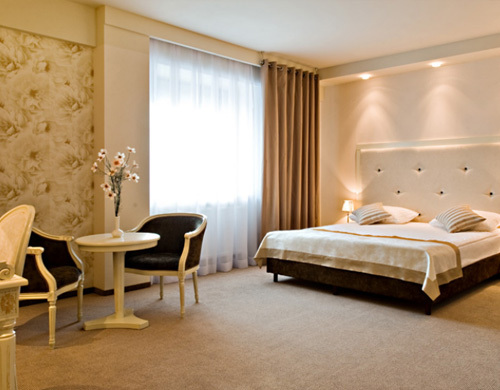 Located in the center of Rzeszów, Hotel Prezydencki was established in 1992 and offers a combination of modernity and tradition. 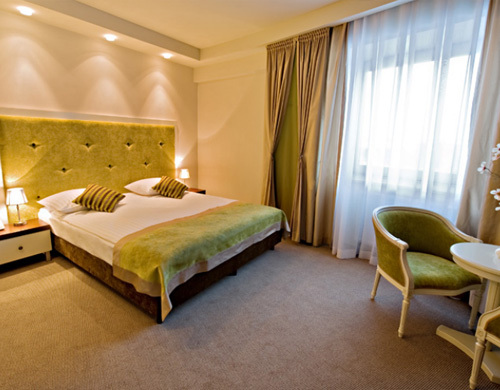 The hotel stands out the location, the standard of service and professionalism. The hotel consists of parts 3 and 4 stars hotel. 4 Star complex has been recently opened and offers guests a modern hotel and conference, in which there are 6 conference rooms, 33 butikowo rooms and 4 comfortable apartments. 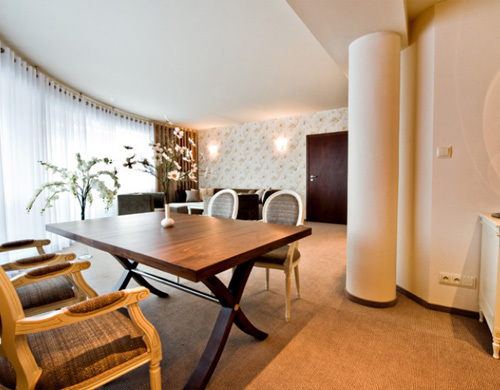 This strategic location allows quick access to strategic points in the city of Rzeszow, such as railway station, bus station or airport in Jasionka. The hotel location is also attractive entertainment and shopping arcade Millenium Hall. 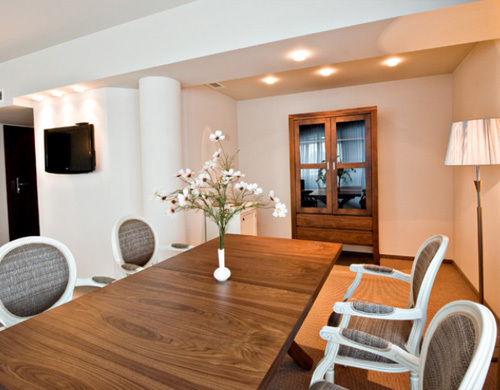 Good location and easy access make the hotel an ideal choice for business guests. The hotel can boast 20 years of experience and expertise in the organization of conferences, banquets, parties, etc. Especially recommendable is very good dining and catering. Qualified and friendly and subtle service will make guests stay as enjoyable and successful. Guests have a choice of three contemporary restaurants: Presidential, Orchidea and an Italian restaurant La Passione. In the romantic setting of the restaurant will be able to indulge in the pleasures of the palate, savoring the taste of various dishes of Polish and European cuisine. Our waiters are happy to help in the selection of food and wine. The hotel's spa, guests can take advantage of hairdressing and beauty services, a fitness room, dry sauna and steam room. 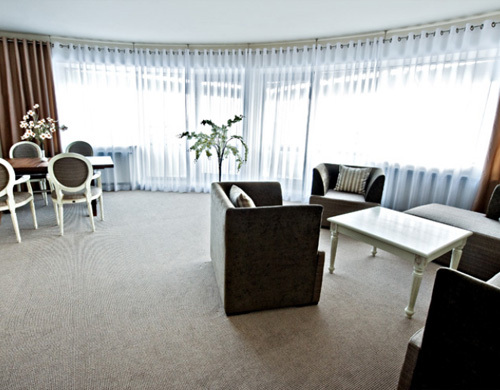 33 cozy double rooms (or single rooms with a higher standard), and • 4 comfortable apartments. The hotel offers guests spacious and modern pokje. 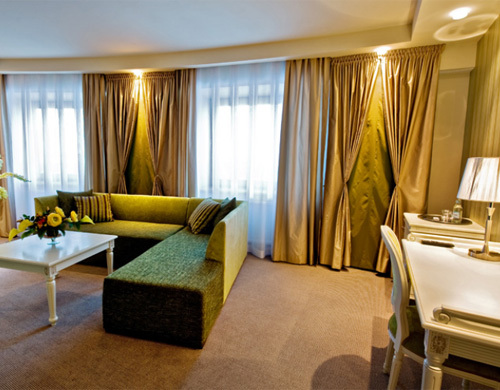 A variety of colors and classic design make guests will find relaxation and rest after a day of sightseeing or work. The rooms are air conditioned and have access to wireless Internet. The interior design and decoration colors and pleasing to the eye, create a pleasant atmosphere that provides relaxation and a good night's sleep. Each room has satellite TV, air conditioning, minibar, telephone, safe and wireless Internet access. 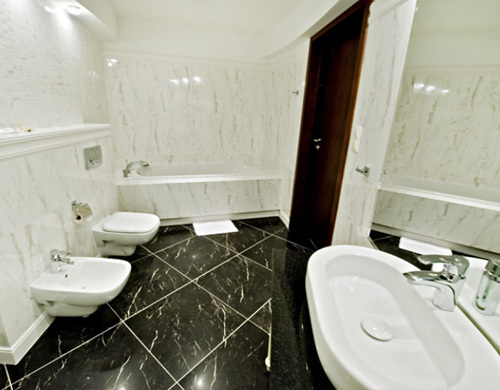 Luxury bathroom in shades of pristine white, gray and black pearl, equipped with a shower and hairdryer. The apartments also have a comfortable bath.